If you love multimedia entertainment then a pair of the MH2001 5-in-1 Wireless Headphones are the perfect accessory for you. 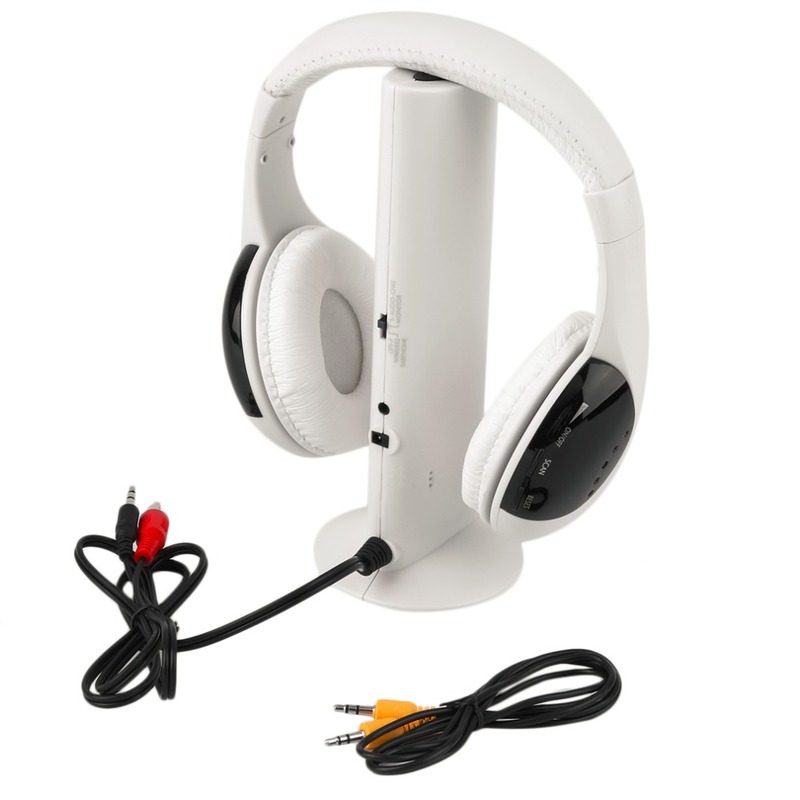 The headphones allow you to listen to your favorite TV programs and music without disturbing others. You can also use them as a FM radio or as a monitoring system by placing the emitter in a room to keep an ear on your children or an elderly family member. If you are surfing the web you can even use the headphones as the perfect audio chat tool! Wireless Net Chat Tool: A perfect audio-chat tool, provides infinite enjoyment.